There are a fairly small number of authoritative sources for National Junior Golf Rankings in the USA. 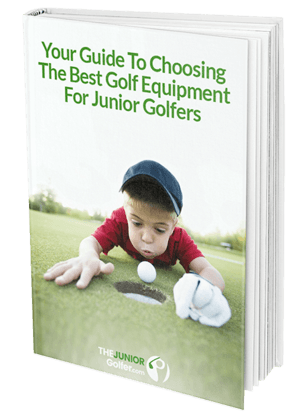 These rankings are primarily for older juniors such as high school golfers, although some of the ranking services include junior golf rankings for kids as young as 10 years old. In addition to these authoritative rankings, other national, regional, state and local tournament organizations, such as the ones referenced in the "junior golf tournaments" article, have rankings for players participating in their tournaments. The big three authoritative national golf ranking services are Junior Golf Scoreboard, AJGA Rolex (previously Polo Rankings) and Golfweek. Keep in mind however, that no rankings are perfect as it is simply not possible to create perfect information about junior golfers that play different courses, in various conditions, of different lengths, against different strengths of field, with juniors going through puberty at different stages etc. etc. That said, these junior golf ranking sites are consistently referred to by college golf coaches and therefore it is important for juniors with college golf aspirations to be aware of the ranking services and understand how they work. To be ranked on Junior Golf Scoreboard, junior golfers need to play in at least four JGS ranked events in a 365 day period. The good news is that JGS includes the most tournaments in their rankings compared to the other major ranking services. Most State, Regional and National tournaments are included. Tournaments must be longer than 4,500 yards and have no stroke limit. Rankings start from as young as 10 years old. JGS does not have provide junior golf rankings by age group but rather by graduation year. This is clearly a disadvantage for kids that are on the younger side for their grade and are "late bloomers". However, the reason the rankings are by graduation year is that that they are used by college coaches who are looking for talent for their programs. JGS tip - when registering for any junior golf tournament, make sure to keep your junior golfer's name consistent in all tournaments or tours that they play in. Not doing so will result in JGS potentially not picking up their results in the rankings. For example, if you use a middle initial, make sure to do so consistently. The JGS rankings are based on three criteria: (i) Individual Scoring - 65%, (ii) Strength of Field - 35% and (iii) Strength of Finish - 10%. (i) Individual Scoring: JGS uses 75% of the players lowest rounds based on the difference of actual score to the course rating. So for example younger kids that play a 5,800 yard course and shoot even par (72) may find that the differential for that score is actually 4 or 5 over par as it is based on the course rating. Similarly, a 7,000 yard course might be rated as a par 74 and therefore a score of 72 would count as 2 under par. (ii) Strength of Field: JGS has a proprietary formula for calculating strength of field but it is essentially a measurement of how tough the competition is in the event they play in. So for example, if a junior plays in a JGS ranked event that has no other top ranked players, this score will count for less than if the tournament had top ranked players in it. (iii) Strength of Finish: this score is based on where the junior finished and also the size of the field and the strength of the field. For example, a first place finish in a field of 10 players will likely count less that a first place finish in a 40 player field. In addition, a first place finish in a field of 40 will count more if the field has other top rated juniors playing. Unfortunately JGS does not include high school golf scoreboard / results in their rankings system. According to JGS, this is primarily due to high school golf associations not sending in scores consistently and thus certain states/cities being disadvantaged since not being included. JGS also has various other offerings such as a list of qualifying tournaments, a planning calendar and a golf resume service. The annual cost of a basic subscription is $29.95. The annual cost of the resume service is $175. The Rolex AJGA rankings (previously the AJGA Polo Junior Golf Rankings) are used by the AJGA primarily to guide the Rolex Junior All-America selection process, for selection of AJGA Invitational fields and to help determine members of team events including the AJGA Wyndham Cup teams, the PING Junior Solheim Cup team, the Junior Presidents Cup team, and the ACDS Junior All-Star team. The rankings are based on a rolling 52 week average. The minimum number of tournaments that are included in the calculation is 6 - therefore if a junior plays in less than 6 qualifying tournaments their total points accumulated is still divided by 6 (so their tournaments do get the full potential amount of points). Since the AJGA Rolex rankings are based on AJGA and other large tournaments, they do not provide junior rankings by age groups and as such the top rankings are usually dominated by juniors in their late high school years. Invitationals earns the most points, followed by Open/Senior tournaments, then Junior All Star Series and lastly Junior Golf Hub tournaments. For more information refer to the Rolex AJGA Rankings page. The AJGA Performance Based Entry Road Map is an excellent resource that sets out qualifying tournaments by geographical location. Because the AJGA Rolex junior rankings are based solely on AJGA tournament results plus a limited number of other tournaments, juniors that do not play many AJGA tournaments may not be included in these rankings. For this reason the rankings are relatively limited in use and college coaches will not rely solely on them. The GolfWeek junior rankings include both boys rankings and girls rankings and are one of the more interesting to look at as they do not rely purely on tournaments scores but rather a mathematical formula devised by Jeff Sagarin that looks at junior golfers' win/lose record against other players in the same tournament on the same day. The beauty of the GolfWeek junior rankings is that it does not matter what course was played, what the conditions were on that day etc. The stroke differential between the juniors ultimately compares all players to one another based on common opponents over a rolling one year period. Juniors must play in 5 events that qualify for GolfWeek junior rankings, in a rolling one year period. There are approximately 250 tournaments that are currently included in the GolfWeek junior rankings. Tournaments that qualify to be included in the GolfWeek junior rankings are far less than those included in JGS since (i) they must be national or regional tournaments, (ii) generally must be 54 hole events (36 hole and even 18 hole events will considered on a case by case basis), and (iii) the tournaments must have a minimum of 40 (boys) or 12 (girls) in the field. The GolfWeek rankings do not provide junior golf rankings by age. Only the oldest age division is counted but if younger age groups play from the same tees they will be included. The National High School Golf Association (NHSGA) is focused on high school golf growth and development. The NHSGA provides a high school golf scoreboard and ranks both individual high school golfers and high school golf teams. In addition to the high school golf scoreboard, the NHGSA site also provides information about various high school state golf tournaments opportunities and also opportunities for players outside of the high school golf system. Regional and Local Tours also have their own ranking. Some of the larger ones include U.S.Kids Golf, Hurricane Junior Golf (HJGT), International Junior Golf Tour (IJGT), various State PGA Junior Tours etc. Many of these sites also provide junior golf rankings by age since they have various age groups participating. For example, USKids provides the points leaders for all local tours including the junior golf rankings by age group for each tour. For more information on local, regional and national tours, including links to their junior golf rankings, refer to this article: "Top Junior Golf Tournaments You Need To Know About". The World Amateur Golf Ranking (WAGR) is a joint offering by the the R&A and the United States Golf Association and provides rankings for elite amateur women and men. The WAGR includes more than 10,000 players from over 100 countries, based on more than 4,000 ranking tournaments. The rankings are based on a 104 week (2 year) rolling cycle. By default the WAGR includes juniors players who are at the elite level that participate and place in qualifying tournaments. The WAGR compares players from various countries around the world even if they never directly compete against one another. Due to its nature the WAGR is largely dominated by amateurs that have already completed high school although you can also find many of the top high school players and top international juniors in these rankings. US College Golf Rankings can be found at GolfStat. GolfStat also has some excellent resources for high school juniors who are looking into college golf. For juniors with college golf aspirations it is important to be aware of the various ranking services. Unfortunately some juniors try to "game the system" by only playing in certain events or at certain courses, at certain times of the year when they are most likely to score well and benefit in the rankings. This is a very limited mindset that good coaches do not encourage. It is important for juniors to experience tougher courses and tougher conditions (e.g. wet or winter golf) in order to develop their overall game. Ultimately, the ranking system is a great way for juniors to get feedback on the level of their skills and tournament game plans - and in this way identify the areas of their games they most need to work on.